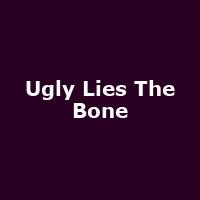 Beauty is but skin deep, ugly lies the bone; beauty dies and fades away, but ugly holds its own. "After three tours in Afghanistan, Jess finally returns to Florida. In a small town on the Space Coast, as the final shuttle is about to launch, Jess must confront her scars - and a home that may have changed even more than her. Experimenting with a pioneering virtual reality therapy, she builds a breathtaking new world where she can escape her pain. There, she begins to restore her relationships, her life and, slowly, herself."